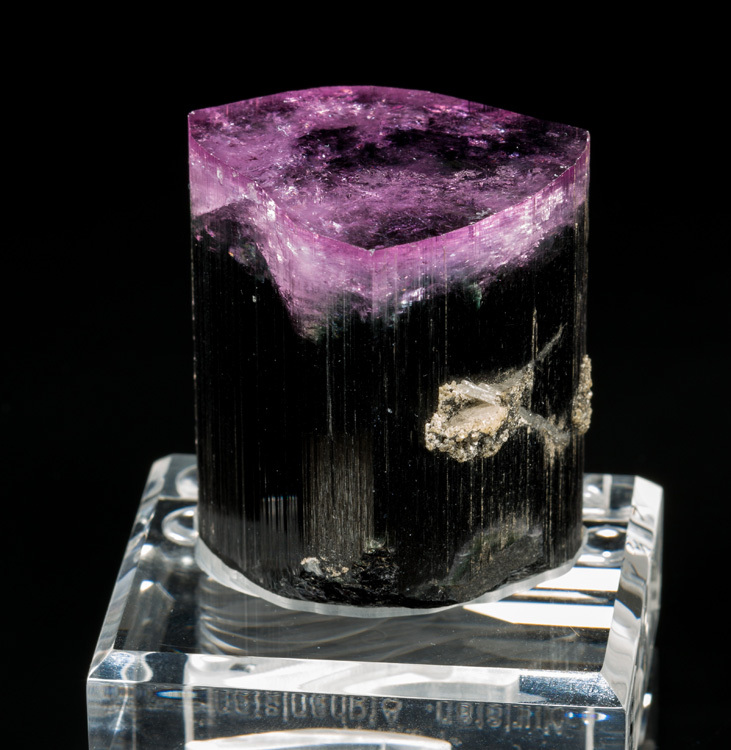 The photos really don't do this specimen justice! 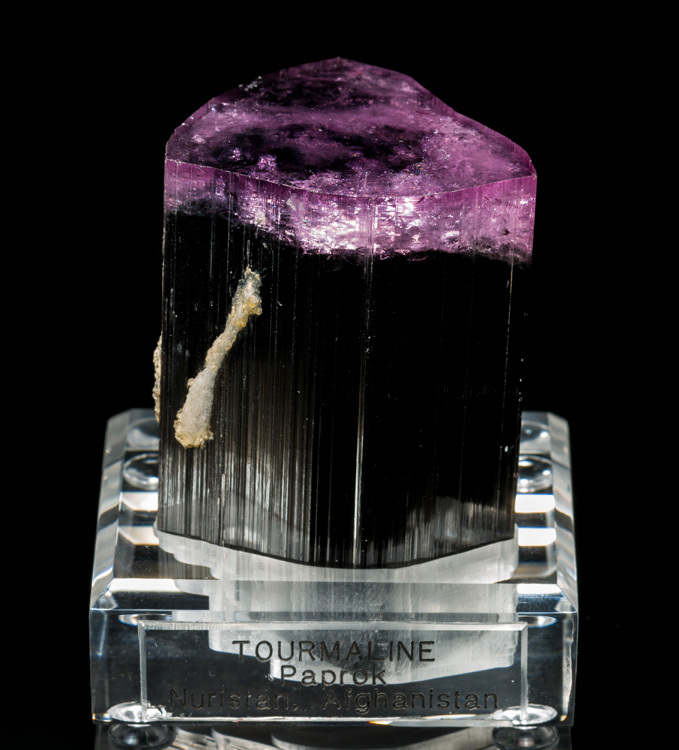 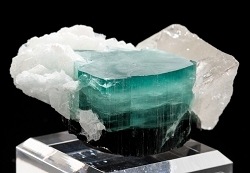 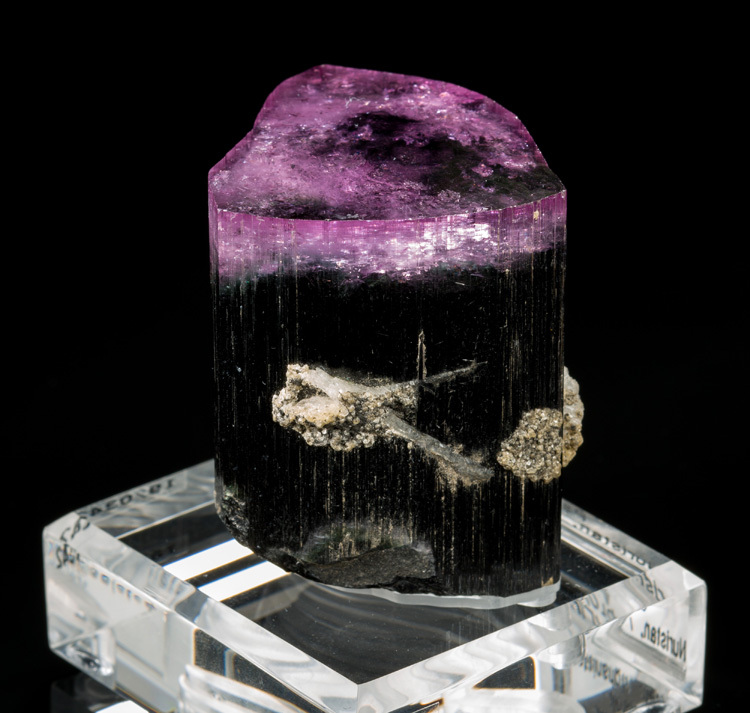 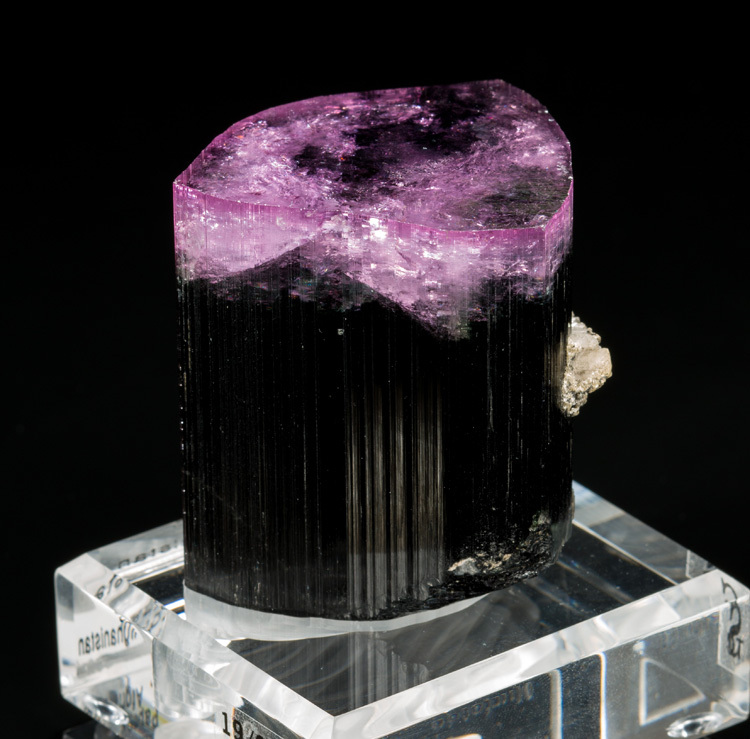 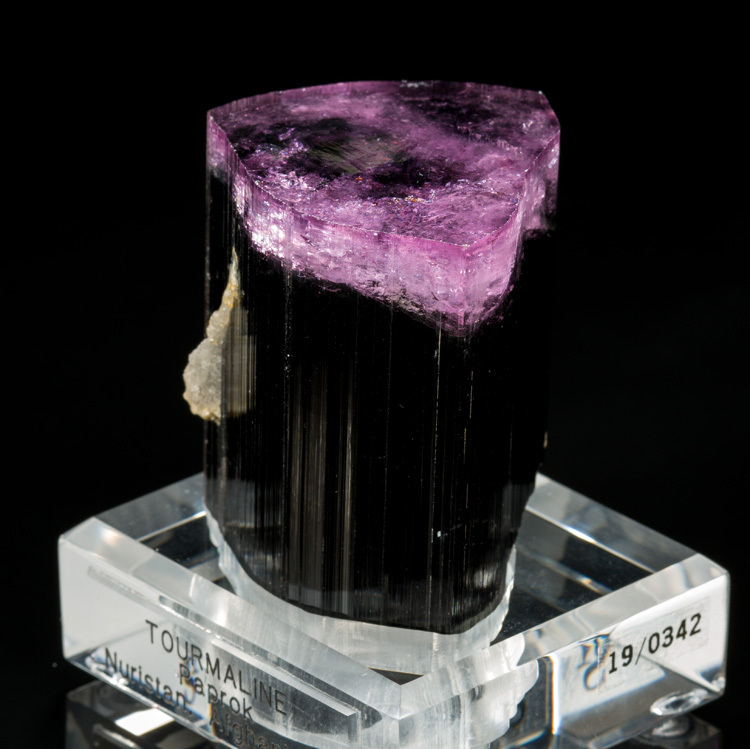 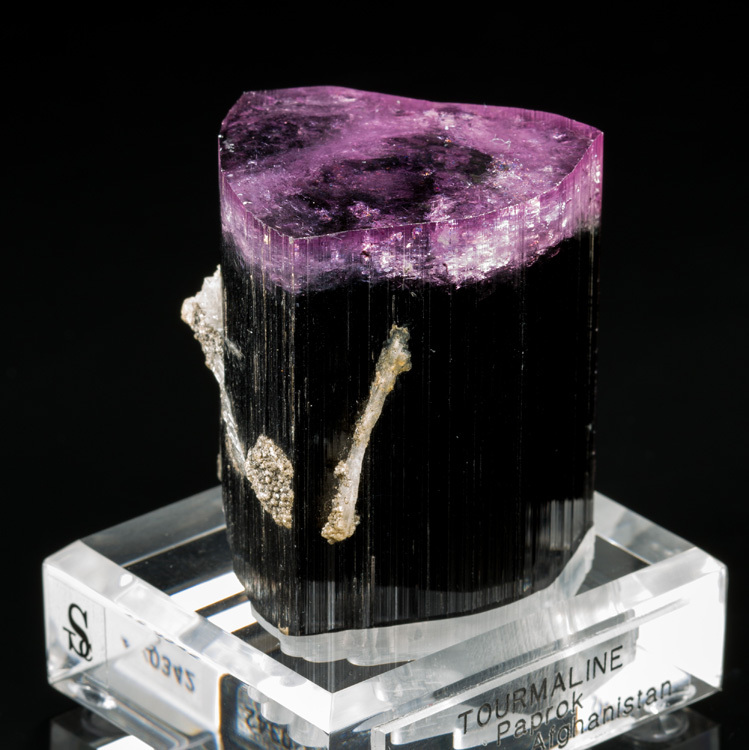 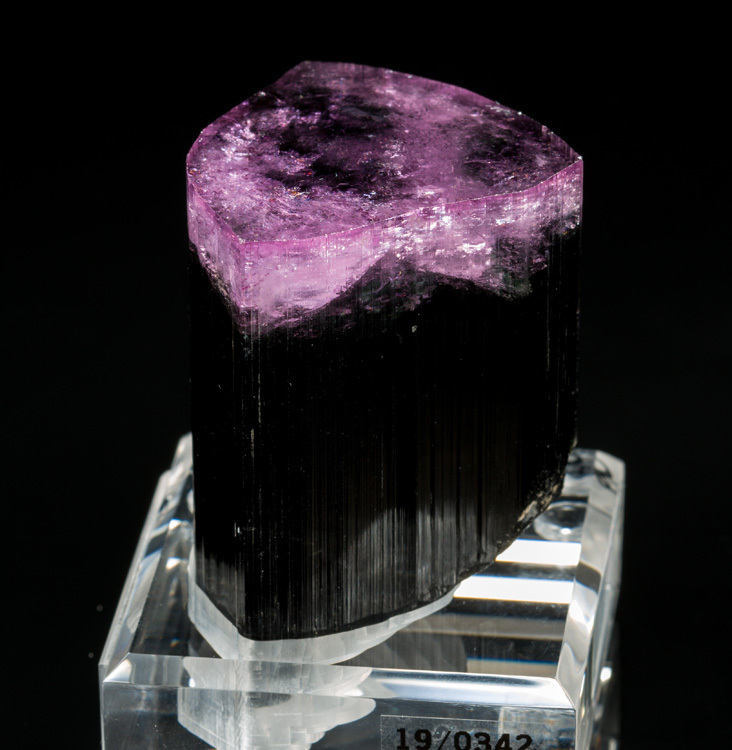 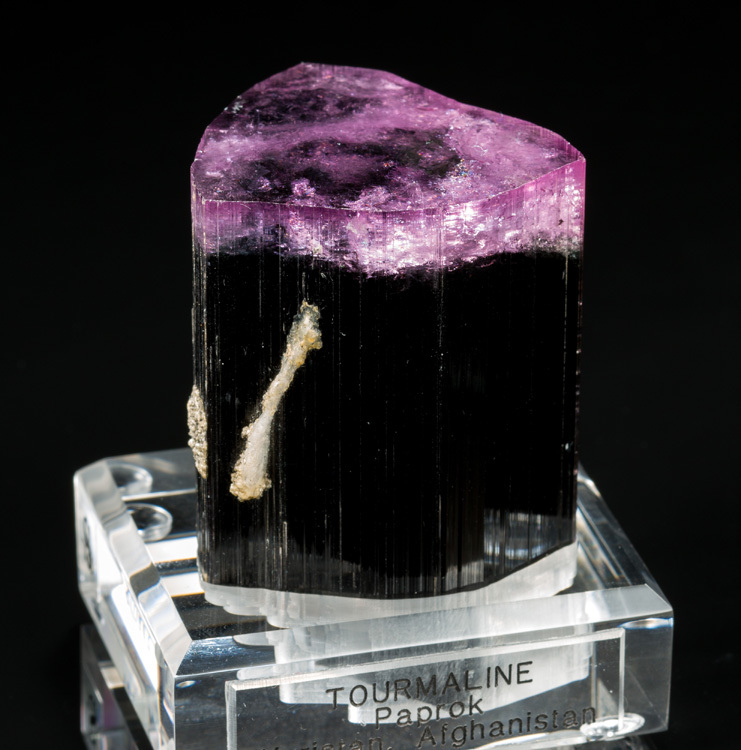 This is a rather large purple-cap tourmaline, and the condition is exceptional. 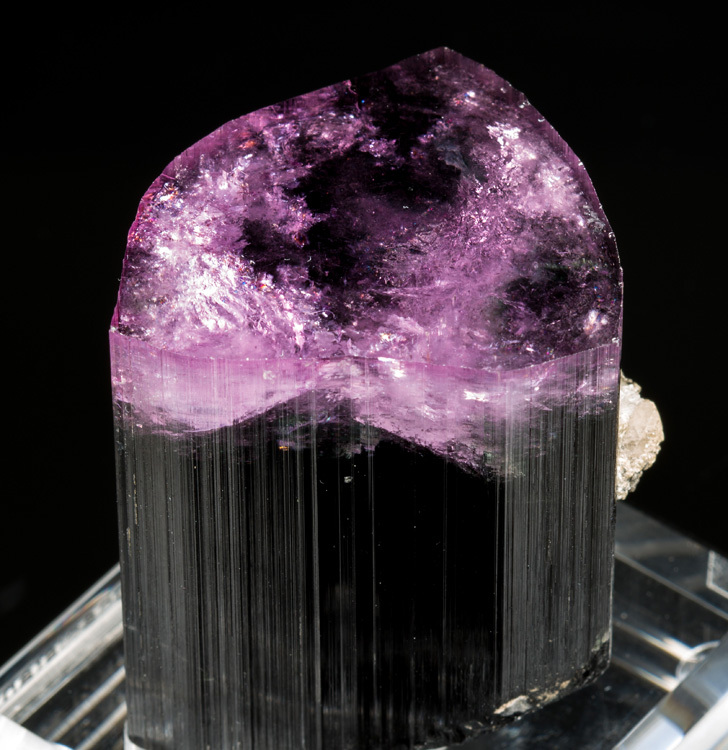 Most purple caps from Paprok are small - well below 100g, but this one is not only large, but it's the finest example we've seen in a long time. 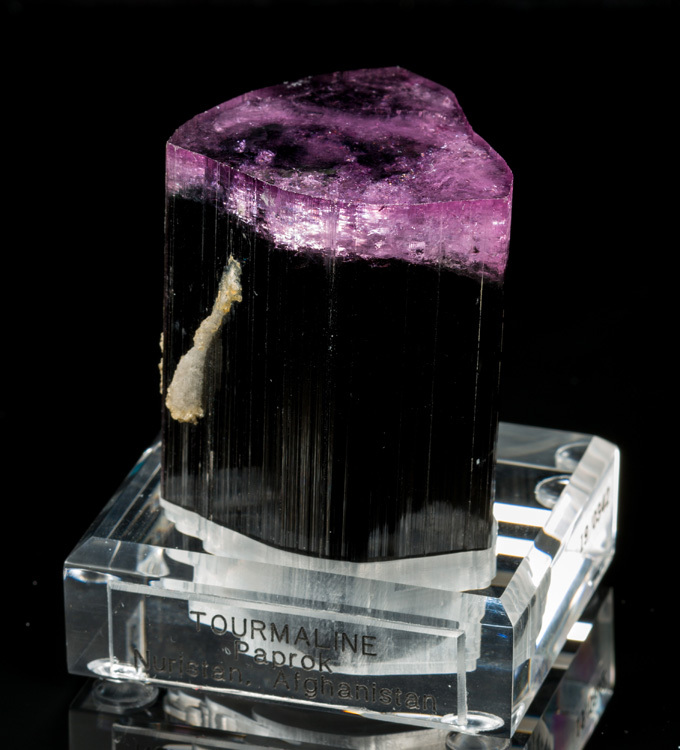 The purple zone at the top is perfect with no damage, and the luster & transparency are very high. 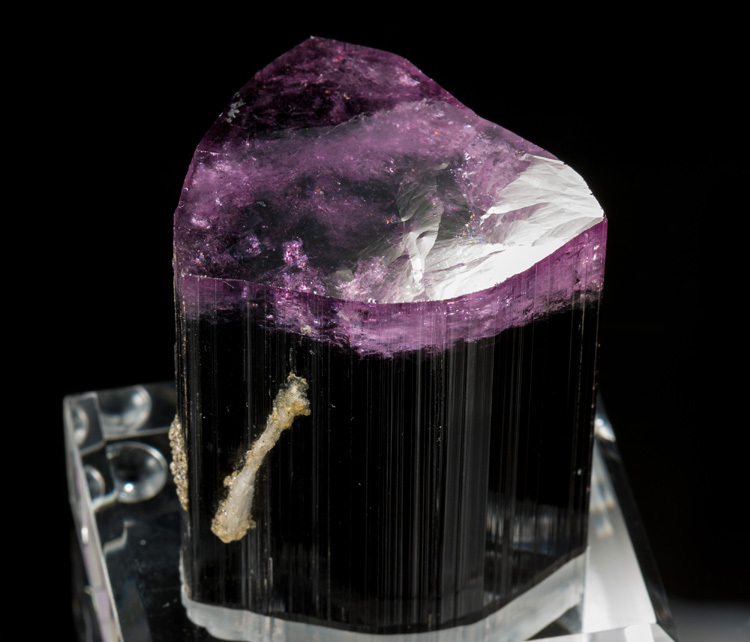 The purple changes color quite noticeable depending on the color temperature of the lights source. 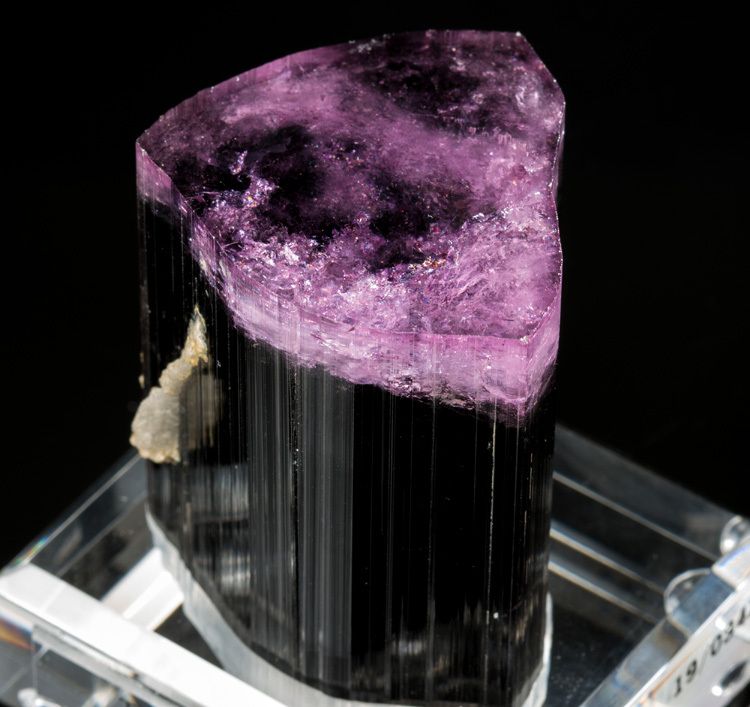 Under cool light it looks purple, and under warmer light it looks plum.